By using or by browsing our web store and/or placing an online phone orders, you agree to be legally bound with our terms and condition stated below. If you do not wish to be bound then you must not browse/access or place orders with us. The terms stated below applies for all sales that may happen on our online website www.thefurnshop.co.uk or over the phone. Separate terms and conditions apply for sales that are transacted in person at our furniture shop in Leicestershire, UK. The bond made by you on-line with us incorporates these terms and conditions, which shall exist over any and all terms and conditions, proposed by you. Thus we hereby request you to read, understand and agree to these terms and condition before going further on with your purchase. All products we sell are sourced from wholesalers and manufacturers based in UK & Europe & comply with required British Standards as per law. The manufacturers and wholesalers are responsible for failure or breach of any such compliance. Wood breathes & in rare cases some solid woods expands and contract depending upon the temperature and moisture levels, we recommend you not to expose you wooden furniture to direct sunlight or very close to radiators. Exposure to sunlight may also lighten the shade of furniture and wear earlier than expected. Distressed and Hand Finished furniture have been in demand for years, please note that there may be variance in 2 pieces from the same range, as each item is made as one of its kind. Features such as knots, splits, dents, marks and antiquing may not appear as same on all pieces. Leather is also a natural material and differs from hide to hide thus we cannot guarantee identical colour match on pure leather furniture. Products on our website have clear information about how they are supplied i.e. flat packed or ready assembled. If you wish to buy Flat Packed Furniture from us and would like it to be assembled on site, you can opt for our chargeable WHITE GLOVE DELIVERY service on cart & we will sent a fitter with delivery for assembling your order. This service is only available for addresses in England & Wales. All information such as colours, finish, sizes & types are provided by the manufacturer and we cannot guarantee its 100% accurate. Colours and shades on your screen look as accurate as your browser settings allow. 1) All Prices shown on this website are inclusive of VAT, if you are ordering from a VAT free areas, please note we do not provide VAT claim service you will have to do it at your end. All Our Invoices have VAT numbers stated on them. 2) Delivery is Free 2 man delivery to your Door in the mainland UK, excluding Highlands, Scottish Islands, Northern Ireland, Ireland, Isle of Man, Isle of Wight, Jersey & Guernsey & Far off Postcodes. 3) There is a £24.99 charge for delivery to the room of choice. This service is only available for orders located in England & Wales. Please Note: Our Drivers take utmost care to delivery your furniture into your room of choice without damaging the product and your property. In the event of such incidence occurring that the property has been damaged, it is completely unintentional & neither we nor our drivers are liable to pay for any losses that may have occurred. 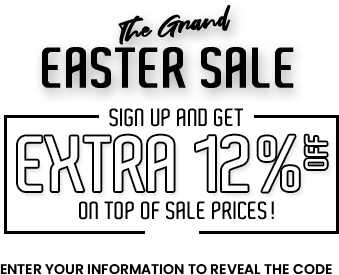 4) 12% of order value will be charged if you have opted for White Glove Delivery on cart. This service is only available for orders located in England & Wales. 5) If you wish to return an item because you have changed your mind, there is a collection charge of £60 which will be deducted from the money you have paid for the product and balance will be refunded to the card you have used to make the purchase. 6) Our product prices are only meant for purchases made online from our website and other promotional or seasonal offers online. Our prices or offers cannot be transferred for sales through our showroom. 7) Special sale or discounted offer price displayed on our website are valid until midnight of the date. 8) In case of a person or technical error in pricing, we reserve the right not to honour the order. We may offer you the same product at correct price or offer a refund. 9) Only 1 Voucher code can be used at time with any purchase. 1) Payments are transacted using SagePay or PayPal as selected by you at the time of purchase. Please make sure you use correct Name, Address & Contact details at time of making payment by card in order for our system to verify and check the authenticity of the card holder. 2) In case if we required any additional validation to verify your payment card, we may ask you to present additional proofs to confirm your right and possession of the credit/debit card used at the time of shopping at The FurnShop. (a) We will send you a confirmation e-mail after receiving your order and this will constitute acceptance by us. (b) We have charge your chosen payment method after we accept your order. 4) The FurnShop reserves the right to accept payment of your order to continue the further process. The Contract between you and TheFurnShop will only be made when we send you a confirmation e-mail. 5) We accept payment only with the payment methods listed on our official website. You must pay for the order and any applicable delivery charges in advance of the delivery of the products. 6) We use SagePay as our payment associate and Lloyds TSB as our merchant's banker. All online transactions are authenticated by our payment associate and Merchant Banker to give you extra piece of mind. Please Note: We do not store any financial details in our databases such as card number, expiry dates, Validity or CVV number of our customers. 1) Currently, we make deliveries by our own vehicles and third party couriers for all locations based in England and Wales. For Scotland, Northern Ireland, offshore or remote locations, Channel Islands, Isle of Man, Isle of Wight, Guernsey, Jersey and Republic of Ireland we use third party courier services to make our delivery services fast and stress-free. 2) We offer a delivery service in accordance with the timescales shown on our website against each product. Please note that delivery time is estimates.The FurnShop offers unique on-time delivery services. Most of the products listed on our website will be delivered in max 10-14 days. 3) Made to order products can be delivered after 7-10 weeks at max. Delivery of items to offshore or remote locations can take a more time than usual but our delivery partners will be sure to keep you up to date with your delivery schedule. 4) Time and Days shown on our website are working days i.e. excluding weekends and bank holidays. Weeks advertised can be counted including weekend and public holidays. 5) Delivery usually happens during weekdays in a large Vans and Lorries and it is your duty to make sure there is a secure and sufficient access for such vehicles. In case, drivers find the access insecure or not accessible drivers may turn down to deliver your order. 6) Please remember that it’s your responsibility to make sure that the items you're ordered from us will fit through doorways and staircases in their packaging before your place any order from us. 7) Once we have your order ready for delivery you will receive an email with a link to accept or refuse delivery. We send email to choose delivery date and time to make your delivery of the order more convenient. If no time slot is chosen by you, we will give you a call to schedule this in. 8) Our delivery partner will contact you a couple of days before the deliver date is fixed. They will inform you before about your delivery date and time. In case, you’re unable to receive the order at the delivery address you need to inform us or delivery partner in a written email.We will arrange another delivery date for you according to when after that we are planned to visit your area and rebook it for that particular day. 9) If you’re unable to inform us about your non-availability to receive your confirmed order then we will consider this as an unsuccessful delivery and we will charge you extra £40 on your order. 10) In case the product you have ordered is damaged by our drivers during delivery or stockroom our liability for the damage is limited to - refurbish the article, swap the article or to repay the amount as of equal to the value of your order. 11) We will not be responsible for any loss or damage that may happen to your items due to any reasonable postponement in delivery. Delays that may happen due to harsh climate conditions, breakdown, motorway traffic, missed or unsuccessful delivery, re scheduling of delivery. 12) We always try to keep our delivery process easy and stress-free. We aim to offer the best value for money with a service that’s second to none. Here at The Furn Shop, Our standard free door delivery on orders over £300 is mostly done by One Man (Driver), and sometimes you need extra support more than one man for delivery of your order. In that case, we offer 2 Man Delivery service to our customers, but it's not free (chargeable). 13) Our White Glove Delivery is the premium service in which we deliver the article to the room of choice, remove, assemble if required, and place the article as per your necessity and take dispose the left over wrapping. Note: Make sure one thing that the room in which the furniture is to be assembled is vacant or have sufficient space to assemble the product. We’re not responsible to dismantle your existing or old furniture. Important- It’s your complete responsibility to make sufficient space in the room for our delivery team to shift your furniture easily to the room of choice. We take care of everything, but in the rarest, if your assets or valuable items get spoiled while delivering your order inside your home. We hold no responsibility to fulfil your loss. 1) We fully meet the terms and distance selling regulations at The FurnShop. 2) Under the UK Distance Selling Law, you have the legal right that you can change your mind and cancel the contract between us. 3) In case, you want to return the product, we accept return within 7 working days.The product that you wish to return must be in original form means it should be properly packed in an original packaging, unused and in the same condition as delivered by The Furn Shop. (a) This Regulation is not applicable to purchasing of Mattress Covers, Mattresses & Pillows due to cleanliness reasons. If any mattress was found defective or spoil, we will only be able to repair to restore. (b) Made to order furniture are not covered under this policy, except if the item is damaged by us during delivery of the order. (c) Made to order items can’t be cancelled once the order has been placed at The Furn Shop. This is due to the products bespoke nature. (d) Flat Packed Furniture on which you tried assembly is not covered under this law. (e) Services Charges and delivery charges will not come under this policy. (f) Our return policy is applicable only for 7 Working Days, once time has lapsed. We cannot accept returns under this policy. 4) If any item delivered by The FurnShop found inaccurate/unfinished or damaged or defective you must report as soon as possible to us in writing and with photographic support within 7 days of delivery to you. You can also clarify in the email if you require compensation to keep the item as it is or need a replacement of your order. 5) Please allow 1 working day for a reply with a decision to your inquiry. 6) In case if you wish to return the order, you’re advised to keep the items in the same original wrapping as they were supplied by The FurnShop. 7)We can decline the returns if the orginal packaging was not found on the product or our courier partners refuse to take the items that are unsafe for delivering back to the stockroom. 8) After receiving the items we will forward your refund to our accounts team and money will be credited back to the card you had used to pay within 30 days from the date the items received in our stockroom. 9) In case you have attempted furniture assembly yourself or hired any third party to assemble the furniture and whilst assembly damaged the item, we’re unable to offer refund or return on that order. 10) Returns will be only accepted on flat packed furniture items which has been assembled (this included damage items). We advise you to fully check your order before you start to assembled flat pack furniture. We collects information for fulfilling your order and answer to your queries. We can assure you that your details are completely secure and we do not share with any Third Party affiliates. 1) The Furn Shop is located in Leicestershire, United Kingdom and operates its website from office based in this location. Therefore the Law England & Wales governs any claims connecting to website, sales, accounts, and any other material contained within our website. In event of any dispute, you hereby agree to resolve it under the laws of England and Wales.